Update: Shortly after posting, I discovered the issue. See bottom of post for details. TLDR: Minimum memory was set too low. Must be at least 32 MB to start. 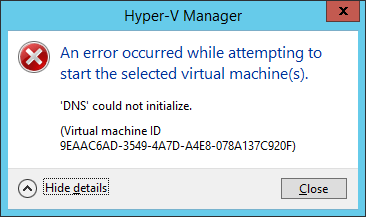 After upgrading my Hyper-V server from Server 2012 to Server 2012 R2, I ran into a small problem. Some of my virtual machines would start, and others would not. This was a very annoying problem, but one that ultimately has a quick solution. This message was the only message that appeared. The same message appeared in the Event Logs, but no other entries appeared to indicate what exactly the problem might be. I scoured the internet, as usual, for assistance. I found articles from Spiceworks, TechNet, and blogs around the Internet, but none seemed to address my problem. 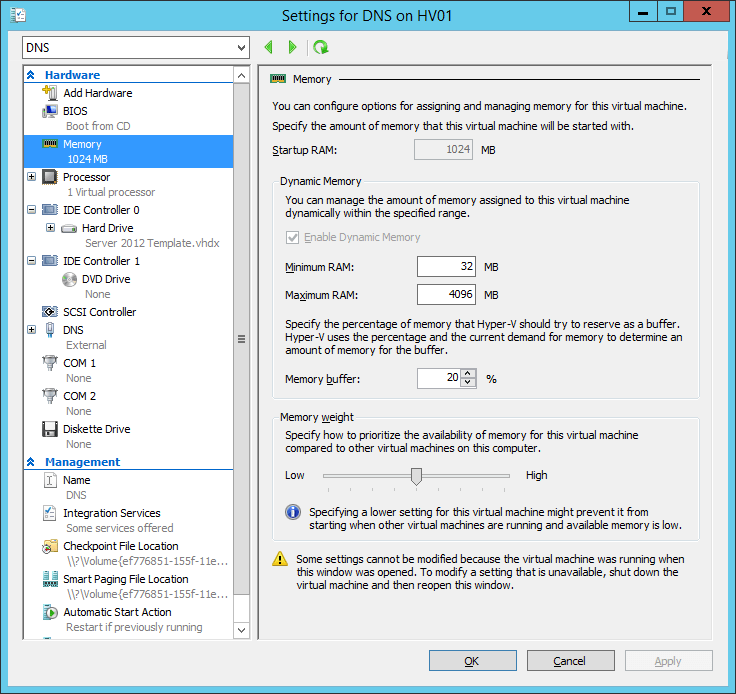 Ultimately, I was unable to determine the cause, though it seems that the virtual machines were created with components that are just too old for Hyper-V on Server 2012 R2. To fix the problem, I simply created a new virtual machine with the same specifications, pointed it to the existing VHDX, and the system booted with no problem. Windows detected the new hardware on boot and off it went. Hopefully someone else will find this solution helpful. After doing some more poking around, I found the setting that was causing the problem. With dynamic memory enabled, I had set the minimum memory setting too low. In previous versions, the minimum was able to be set to a value as low as 16 MB. 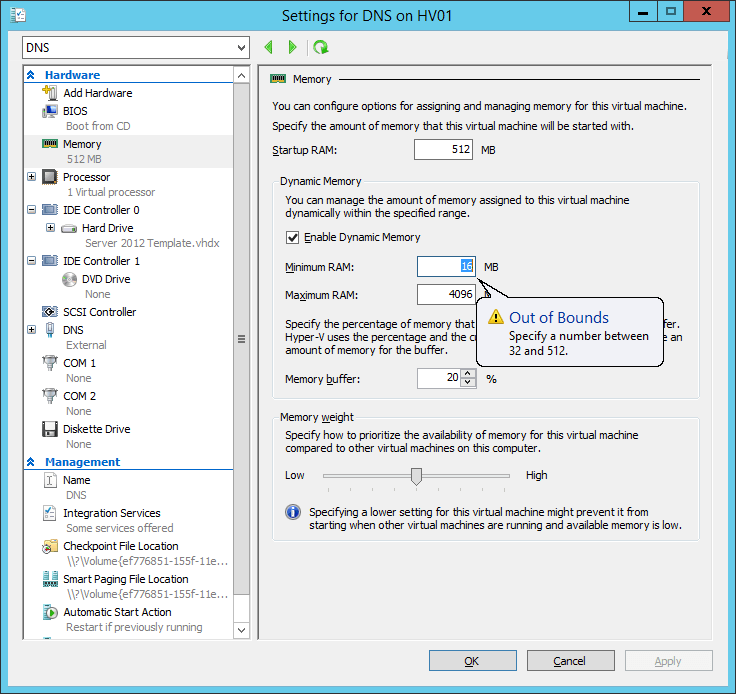 Now, Hyper-V in Server 2012 R2 requires a minimum of 32 MB. Once I updated the minimum RAM setting, the VM booted with no problem. A happy resolution to a simple, yet elusive problem. 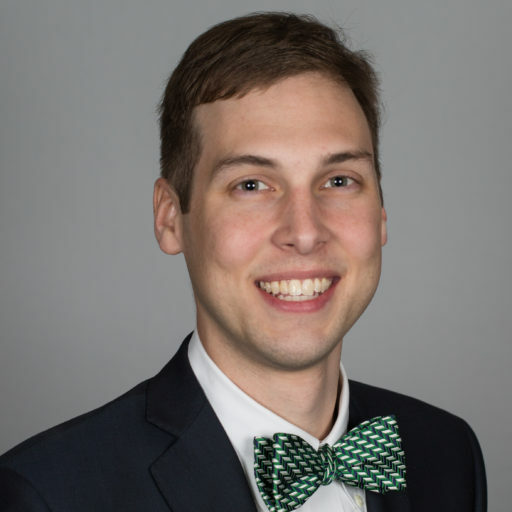 Managing Technological Innovation in Higher Ed. Copyright © 2019 Scott Kearney.